Often times, when we hear about a new record or album, it is usually analyzed for its value in the realms of entertainment. Many people have forgotten that in human history the use of music is not limited to purposes of leisure, but is a working tool that can be employed to motivate others, inspire people, and even set the tone for social change. Fortunately, people like Sebastian Azul understand music’s healing properties and the strength it possesses in trying to create awareness. Based out of London, Sebastian Azul is a remarkable songwriter and producer. His lifelong artistic endeavors of writing poetry and producing tracks took on renewed focus when he learned that his son Dominic was diagnosed with a neurological condition and one type of Tic Disorder called Tourettes Syndrome. Afterwards, Azul began to use his musical expertise to create a platform of awareness about Tourettes, as well as disorders such as ADHD, OCD, Asperger’s and others. Azul’s website entitled Awareness is Power has proven to be an excellent resource in educating the global community about many of the neurological disorders cited earlier in our discussion. Amazingly, Azul has managed to produce several songs to assist in this purpose. Some recordings feature his son Dominic as we will shortly discuss. I had the opportunity to listen to many of the tracks that Azul has released and have written a review of his material. 1-I am the Boy (They Don’t Understand) – This is a very heartwarming song. Its bright melody and drum programming give the track a feel that fits into the world music category. Lyrically, I am the Boy is a father and son duet that discusses living life with a neurological disorder. I am the Boy is well produced and reflective. 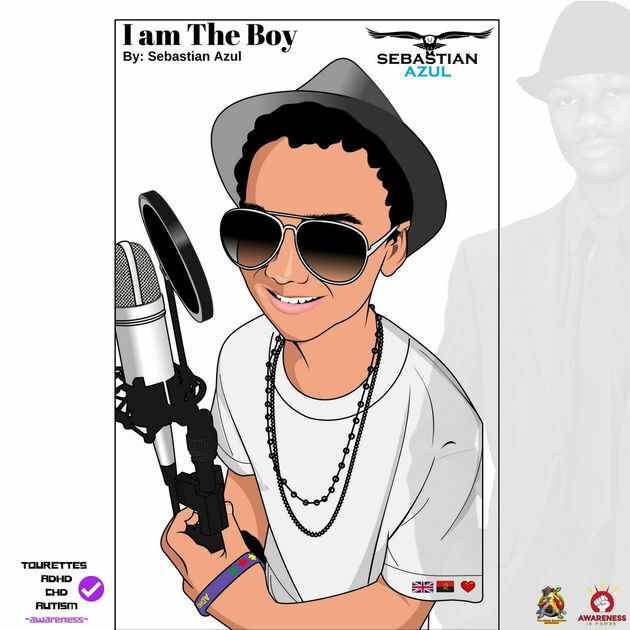 2- I am the Girl – A brilliant production by Sebastian Azul. I am the Girl has an empowering message that works as an effective sequel to I am the Boy. The song borders the musical genres of dance, pop, and R&B. It’s upbeat vibe is electrifying and the lyrics are intelligent. I am the Girl is performed in an impressive spoken word cadence that puts this song in a class of its own. While the track’s theme is about a girl with a neurological disorder operating in mainstream society, there is a lot being said in this song that affects the self-esteem of many women due to their height, weight, and etc. I found this tune to be exceptionally inspiring and entertaining. 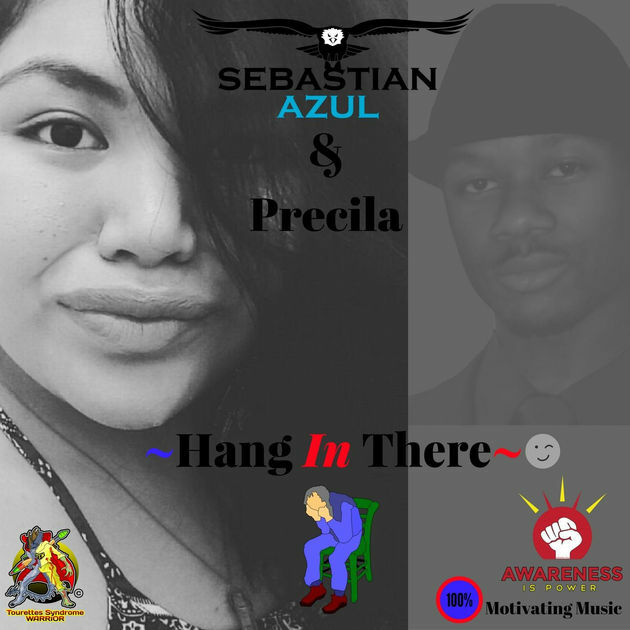 3- Hang in There – This enchanting ballad features the expertise of songstress Precila. It is a tune written by Sebastian Azul to comfort Dominic Azul and express emotional support for his condition. The musical structure of Hang in There is distinctly different from both I am the Boy and I am the Girl. One thing that I found intriguing was the unorthodox drum pattern with echoing accents on the snare drum. The steady keyboard riff along with other electronic elements help put listeners in the visual mood for more soundscapes. 4- If I Knew Then… What I Know Now – A track written as a message to parents, encouraging them to take note of behavioral patterns of their children and watch out for early signs of mental disorder so that they can get the proper assistance. As the song implies, ‘knowing and not talking is like turning your back’ on children that could’ve been helped. The music for If I Knew Then… What I know Now is captivating! The track has a steady beat complimented by a nice overlay of piano. 5- Pass the Mic – A very intense track produced from the perspective of Dominic Azul. Pass the Mic and some of the ordeals he has to face while dealing with his condition. The music is cinematic and sparkles resemblance to the underground rap scene. I imagine that the track’s “in your face mode” is the best way to draw attention to the serious trials that children with mental disorders encounter. 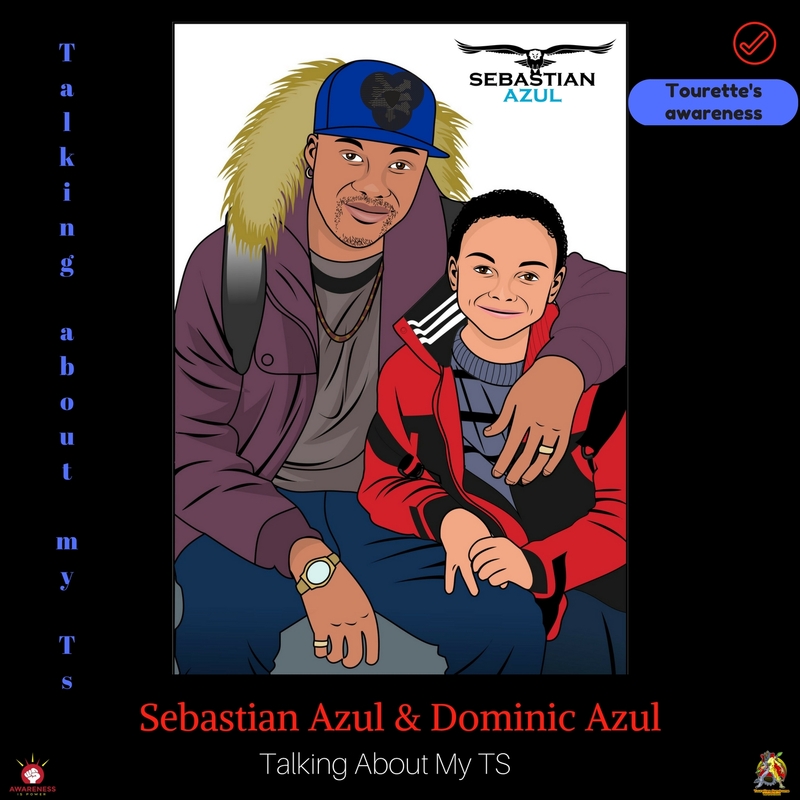 6- Talking About My TS – A soothing melody that features Dominic Azul describing some of the symptoms of Tourettes Syndrome. Talking about My TS makes a clever use of its acoustic instrumentation, allowing Dominic’s words to come the forefront. 7-Fighter – This is a very soulful song with a really moving groove that’s good enough for the dance floor or just listening with friends. The song has an uplifting hook that is perfect for the treadmill. 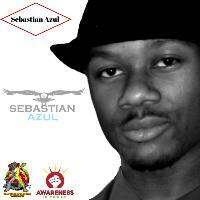 8- Awareness is Power – This tune reveals Sebastian Azul’s range as a producer is unlimited. The song has a strong enchanting backdrop and an encouraging message. Mental clarity provides us with a strong overview of what is important in life and how to proceed forward. The song’s structure reflects how thoughts surface to the forefront of our minds. 9- Cyborg in Love – Featuring an industrious vocal performance by Aliz Smith, Cyborg in Love is fanciful dance track that has a refreshing melody. Of course, in this day and age falling in love with a robot isn’t that bad. This is a fun song that listeners are sure to give an earful. Aliz Smith is able to carry this tune to the stars with the aid of crafty electronic music. 10-You Know I Love You (Remix) – Another gem from Sebastian Azul. What I enjoy most about this dance track is how quickly the listener is drawn into its sonic visuals. Azul’s style of production is enjoyable and tremendously effective because of the picture that he paints upon the audience’s mind with a paintbrush of melody.